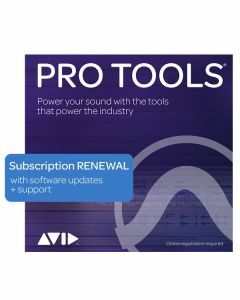 Renew your Pro Tools Subscription for a futher 12 months. This 12 month subscription allows access to the full Pro Tools 12 DAW software as well as the latest upgrades during the subscription time period. Also get access to support direct from Avid to help troubleshoot any issues you might have.